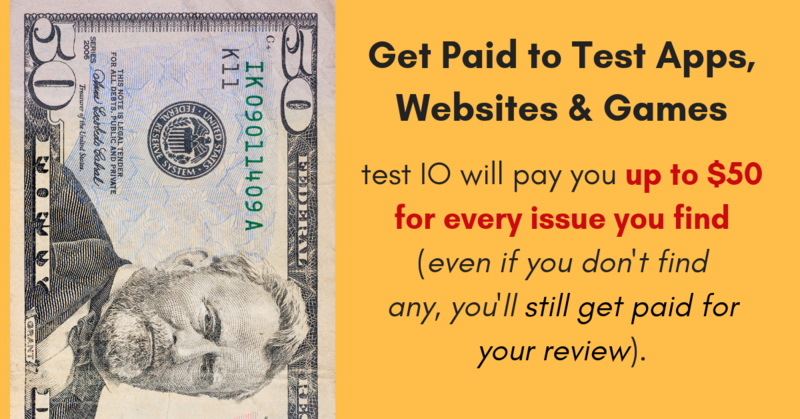 They pay up to $50 for every issue you find, and you’ll still get paid even if don’t see any bugs. What devices do I need to test? – You will need access at least to a desktop computer. Beyond that, the more devices you have, the more opportunities you will have to test. Most testers have one or more mobile phones, and some have smart home devices and wearables. You don’t need the latest gadget; there are plenty of tests on older phones, and many great bugs to be found! Click here to learn more and to sign up to be a tester. (Their site may not be optimized for all devices and browsers. You may have to try several to get through. We’ve asked the company if they have any suggestions and will update here when we hear back.) For more jobs like these, check our Newest Jobs & Gigs page. To be the first to hear about jobs like these, like our Facebook page. Good luck in your next steps toward extra cash!